This is Scorilo documentation (more on this product here). You can skip the documentation with our 24h theme installation service. Whether it’s your own website or a client's, we can take the burden of installation off your shoulders. Theme installation includes full setup of the theme, plugins, settings, and demo content. Your website will look just like the demo within a few hours! 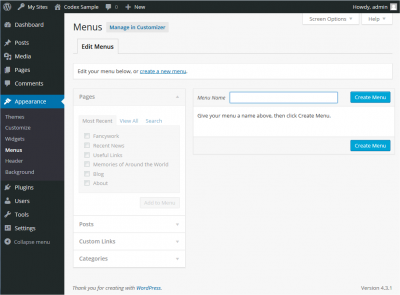 Scorilo is a Wordpress theme, so you must install Wordpress first. There are several ways to install WordPress but the easiest way would be to use one of the one-click autoinstallers available from you hosting company. Click here to learn how to install WordPress with the most popular autoinstallers, WordPress Toolkit, Cloudron, Fantastico, Installatron, and Softaculous. There are two ways to install a WordPress Theme. We recommend you the first one. Use a FTP such as Filezilla. Once connected, you’ll see two panels: left - shows the files on your computer & right - shows the files currently on the web server. Extract the theme file; drag & drop the unzipped theme folder to wp-content/themes directory. Without the required plugins, the theme still works but without its powerful features enabled. After you activate the theme you are prompted to install these plugins with a single click, so the process is automatic. All plugins are free. Since v1.6.2, Scorilo is expanded with a live front end page builder. Each demo page is created with Scorilo’s elements specially designed for Elementor page builder. Elementor requires PHP 7 or greater. If your site is hosted on a server with an older PHP, ask your hosting provider to upgrade to the latest version of PHP. It will also help your website speed. Click Import Templates, and choose this file to Import Now. Now you have the entire set of Scorilo’s prebuilt templates. Create a new page with Elementor and add a template from “My Templates” list. You can find an extended documentation for Elementor here. You must likely want to have a custom homepage on front instead of the blog posts. How do we do that? Go to Dashboard/Settings/Reading and assign static pages, then Save. That’s it for now. Remember to uncheck “Discourage search engines…” once your project is ready! Navigate to Appearance/Theme Options so you can change logo, customize footer and so on. Please, note, some of the options listed here (such as Homepage settings) are no longer needed if you’re using the page builder. They serve as fallback for older versions only. If you already have products added, you should see a page similar to this one. An extended documentation for the digital downloads plugin can be found at Easy Digital Downloads official website. Easy Digital Downloads plugin should automatically create you these pages upon installation: Checkout, Purchase Confirmation, Purchase History and Transaction Failed. Never delete them! The contact form belongs to Contact Form 7 plugin. You are asked to install this plugin once you activate Scorilo, the process is automatic. Next, you can create your own contact forms via Dashboard/Contact/Contact Forms and either edit an existing one, either create a new one. Then you can easily add it anywhere via Page Builder. The contact page is actually a predesigned template that you can replicate with a click of a button just like the rest of the pages (make sure you watch the videos above). Testimonials are managed through custom types. Create a page, name it Testimonials. Assign the “testimonials” page template from the right sidebar. Publish. Navigate to your left menu in the dashboard and select testimonials to add a new item. Add the details and publish. Then add a new item if you wish and so on. Now check your Testimonial page. You should see the testimonials nicely aligned. Before adding items to the menu, you must first define it. 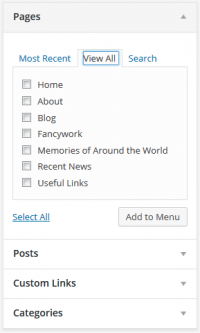 Navigate to the WordPress Dashboard. From the ‘Appearance’, select the ‘Menus’ option. You’ve just created a custom menu. Now let’s add some items to it! Notice the pane entitled Pages. Within this pane, click the View All link to display a list of all the published Pages on your site. Choose the Pages that you want to add by clicking the checkbox. Click the Add to Menu button located at the bottom of this pane to add your selection(s) to the menu that you created in the previous step. Great! Now the final step, make the menu visible in site. “Scorilo” theme supports “Header Menu”. Check “Header Menu” box and then click Save menu. That’s it! The menu should be now visible in website. You can use any Font Awesome icons. Replace # with your social link. If you want to use a child theme, we recommend you to easily create a child theme with this Child Theme Configurator plugin. If you’d rather create it manually, please, read our detailed article: “Protect Your WordPress Customizations with a Child Theme”. "Scorilo" theme is translatable. All you have to do is to install a specific plugin so you can easily translate the theme in your own language. We recommend you Loco Translate plugin. You can get free images for your website at Unsplash.com. "Scorilo" documentation is always evolving. If you have questions, please, submit a ticket here. Also, don't forget to subscribe for news, updates & releases!